Beyond the soaring majesty of distant constellations, the stunning breathtaking visuals, and the 3-D trailblazing special effects, there is something else in James Cameron’s epic masterpiece, “Avatar.” Something as grand and great as life that pulsates with the rhythms of the sacred earth, and talks to the ancients in their own tongue - “All is one and all is interconnected.” Simply put, it is a marvelous tribute to Pantheism. Set in a sci-fi universe, it is the story of a white man going native as in Kevin Costner’s “Dances with Wolves.” Instead of the remote Western frontier, there is a distant moon Pandora, populated by nimble, blue colored, 10 feet tall, agile, cat like, bird riding, arrow shooting, eco-friendly aliens called the Na’vi. To the Na’vi’s, the land is sacred, all life is sacred. They worship Eywa, “the Mother,” an impersonal, mystic force that connects all nature. Into this land of noble and tranquil people arrives a former marine who is sent to mine and exploit precious minerals in exchange for his lost legs. 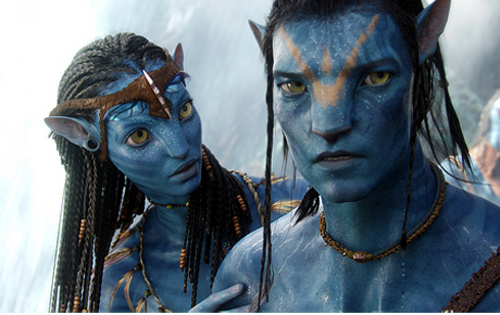 To survive in Pandora and breathe its air, he is transformed into an “Avatar” with a Na’vi body and a human mind. However, he falls in love with a Na’vi beauty and Na’vi spirituality and successfully fights the marines who come to plunder the peaceful land. Even though it is not directly advocating Eastern Philosophy, the underlying script riddled with oneness and union with nature is an ode to Pantheism, the overarching religious belief that all things are linked in profound unity. Like a philosophic banyan, Pantheism accommodates a tapestry of the stuff of eternities, ranging from Hinduism, Taoism, Buddhism, Yoga, animism, the Greek religion, religion of the indigenous tribes such as the American Indians, the ancient Mayan religion and the pre-islamic religions of the Middle East. In his illuminating book, “The Tao of Physics”, Fritjof Capra, a renowned Physicist from Berkeley, sets Pantheism, Taoism, the cosmic dance of Shiva, Buddhism and Eastern Philosophy on a firm pedestal supported by unassailable concrete facts from Quantum Physics and the wave structure of matter. The pantheistic message is more widespread than we think. According to a recent Pew Forum report, many Christians believe in the spiritual energy of trees, mountains and nature. Hollywood’s runaway successes such as Tom Cruise’s “The Last Samurai”, “The Lion King” and Pocahontas also point to the increasing number of followers wearing the New Age glasses of Pantheism. “The great Tao flows everywhere,” says the Taoist. “Though one, Brahman is the cause of the many, the one manifests the many, the formless putting on forms,” expounds the Rig-Veda. And the sands of time have revealed many footprints with a Pantheist thinking. Albert Einstein, an avid pantheist, who stormed the world of Physics with his theory of relativity said, “I believe in Spinoza’s God who reveals himself in the harmony of all that exists“. Mikhail Gorbachov, the former Russian President opines, “To me nature is sacred. Trees are my temples and forests are my cathedrals.” Henry David Thoreau, the towering intellect, whose famous essay “On the Duty of Civil Disobedience” inspired Mahatma Gandhi and Martin Luther King, was censured for his “defiant pantheism” but nevertheless expressed his love for nature "This earth which is spread out like a map around me is but the lining of my inmost soul exposed." Way back Marcus Aurelius, the Roman Emperor said “As the same fire assumes different shapes when it consumes objects differing in shape, So does the one Self take the shape Of every creature in whom he is present.” Other famous pantheists include Vincent Van Gogh, Ralph Waldo Emerson, Walt Whitman, Jean Jacques Rousseau, Dag Hammarskjold, John Ruskin, Frank Sinatra, Stephen Hawking and many more whose brilliant vision have left civilizational landmarks that have guided lost travelers on their treks through Time. Rudyard Kipling, the great chronicler of the Raj, stated his famous words heard round the world, “East is East and the West is West and never the twain shall meet.” Today, we know that a new bridge connects Eastern mysticism and Western Science and many stalwarts have braved the furies of the centuries to make this happen. James Cameron’s “Avatar” is a new high as it carries with it the allure of riding with a “God is nature” banner on main street, America, and cheered by adoring masses. This is a most encouraging development for all Indian-Americans. Another famous voice adds its powerful decibel to counter the rants of Evangelists like Pat Robertson who build their case on deriding the tree-rivers-nature-worshipping Hindus.